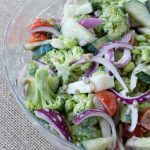 This Broccoli salad is mayo free using yogurt and honey as a dressing! 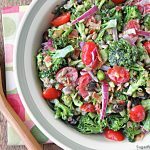 What’s better than an easy salad that will not only taste terrific, and is made in less than 10 minutes, but is super filling without any meat in it? Nothing better to me. Don’t get me wrong now, I love my chicken and fish too, but sometimes I just want a hearty fuss free salad. You can keep your broccoli raw if you like, but for some that might be tough on your tummy. Blanching the florets a bit make them a softer texture, but they will still retain that vibrant beautiful color and crunch. 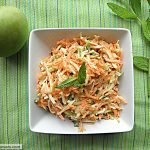 Add some other delicious ingredients and you got yourself a perfect side dish or entree salad. If you’re not crazy about edamame (soy beans), a great substitute is green peas, thawed if frozen. 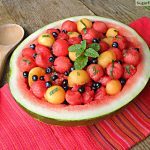 This is a wonderful salad to make with the warmer weather approaching, no oven required, so your kitchen will stay nice and cool! 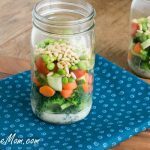 If you’re looking to take this salad for lunch I’ve got an adapted Mason Jar version for you! 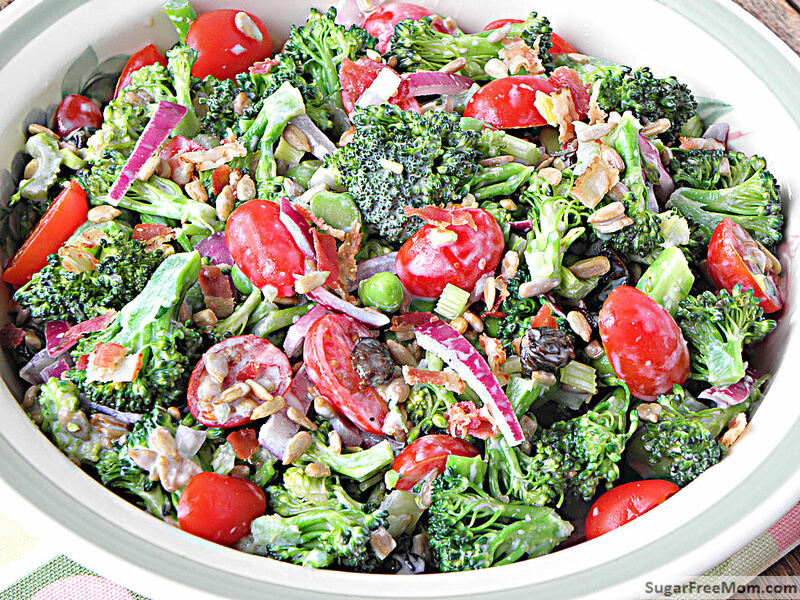 Here’s a link If you’d like an equally delicious Sugar Free Mayo Free Broccoli Salad. Blanch broccoli florets by adding them to boiling salted water for 2-3 minutes. Drain and rinse broccoli under cold water. 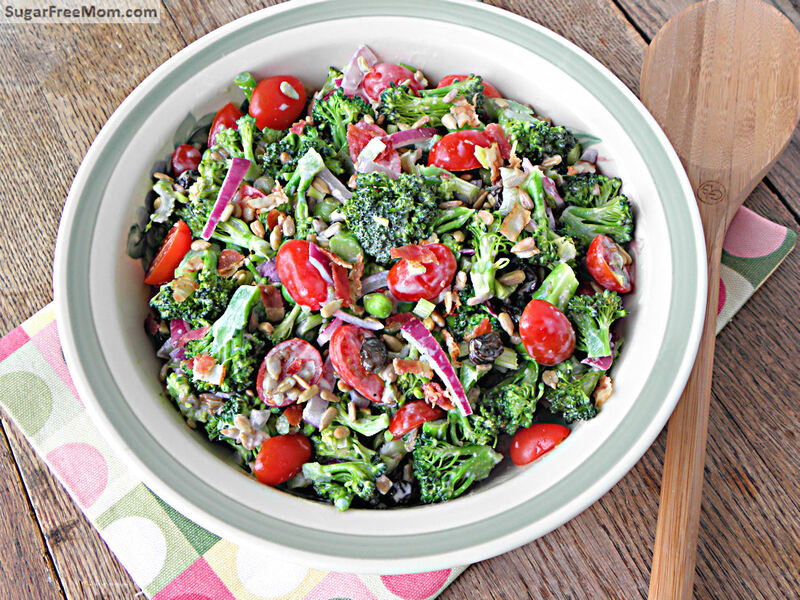 In a large serving bowl add broccoli and all remaining ingredients. 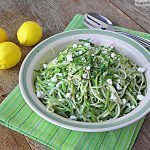 In a small bowl whisk the dressing ingredients together. 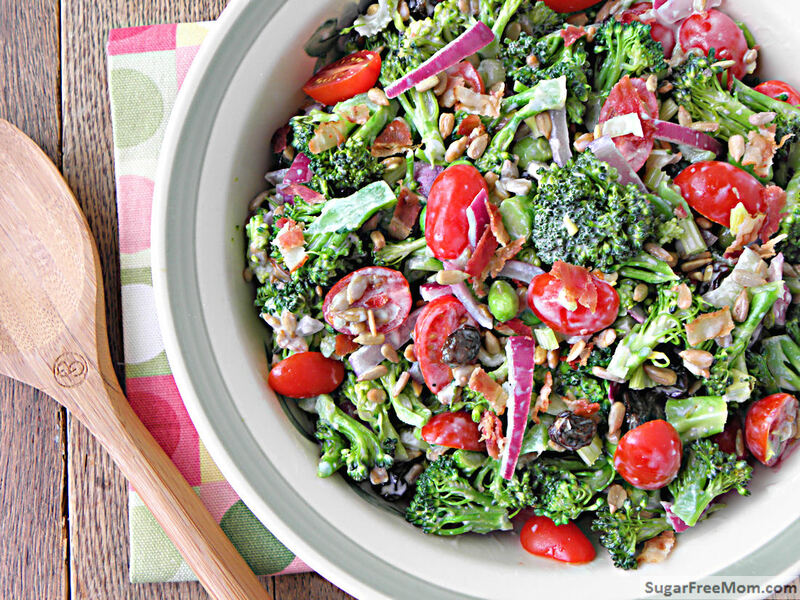 Toss dressing with vegetables and top with crumbled bacon if desired. Makes about 6 1/2 cups. This was my first try at your recipes…delicious! Will definitely make again. Thanks for all the work you put in to your beautiful website. This looks wonderful- thank you. I am just a bit confused how it is labeled sugar-free (1/4 c honey) and dairy-free (greek yogurt)? I will try it! I have not labeled it sugar free or dairy free, the title is MAYO free Broccoli Salad with Honey Yogurt Dressing. I don’t see where you are getting that from. I think she thought it was sugar free since that’s the name of your site. This is awesome! I was in love with an oil/ramen broccoli salad, but it was sooo bad for you. This is a perfect alternative 🙂 I used crushed almonds since I didn’t have sunflower seeds and it worked well. Thank you! This salad sounds delicious! How long do you think it would keep in the fridge? I am looking for recipes that I can make on a Sunday and bring to work with me and I think this would be great. 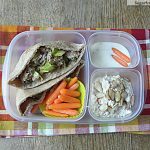 Mine stayed crunchy and crisp for 3 days but if you keep the dressing on the side maybe and just add to it on the day you want to eat it you might have it longer. I was really excited to find this, as it’s a healthy fresh way to eat broccoli. It was delicious!!! I kept the dressing in a separate container so I hope I can keep eating it for most of the week. I would definitely make this for a party, or for a large group of people. And the dressing is amazing!!!!!!!!!!! Do you have a suggestion for something other than tomatoes? I have a few non-tomato eaters including myself. Would corn be strange? Thanks for your help! This recipe sounded good…not sure what went wrong but instead of a dressing that clung to the broccoli (like mayo would) I wound up with a ‘soup like’ consistency…the ingredients were literally floating in the dressing which was at the bottom of the bowl? I had even increased the yogurt – used more than a cup instead of just 1/2 cup…don’t know if decreasing the vinegar to 1 Tbsp (from 2) would help…not convinced I would try this one again, I’m afraid. Oh well…..
I’d love to know if you used regular yogurt or Greek yogurt? 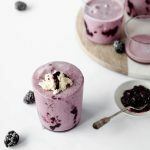 Greek yogurt is much thicker in consistency.